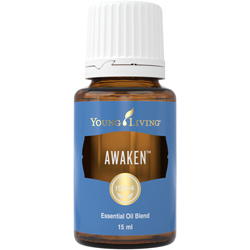 Awaken™ is an inspiring combination of several essential oil blends that helps bring about inner awareness and awakening. True understanding of one's self is the first step toward making successful changes and desirable transitions. This blend may help you progress toward your highest potential. For aromatic use. Diffuse, add to bath water, dilute with Dilute with V-6™ Enhanced Vegetable Oil Complex for body massage, use as an aftershave, or wear over the heart, on the wrists, on the neck.